Of the foundation types listed above the following foundation types can be designed in cold regions as frost protected shallow foundation (FPSF). Designing as a FPSF reduces the required frost depth needed per local building codes. This in return reduces the volume of concrete needed in the foundation. The great thing when designing a FPSF along the front range of Colorado is that the climate is fairly warm and the amount of frost protection is typically just a vertical panel with a foundation depth of about 18”. In addition, with the increasing desire for energy efficient homes, insulated concrete forms (ICF) are becoming popular. 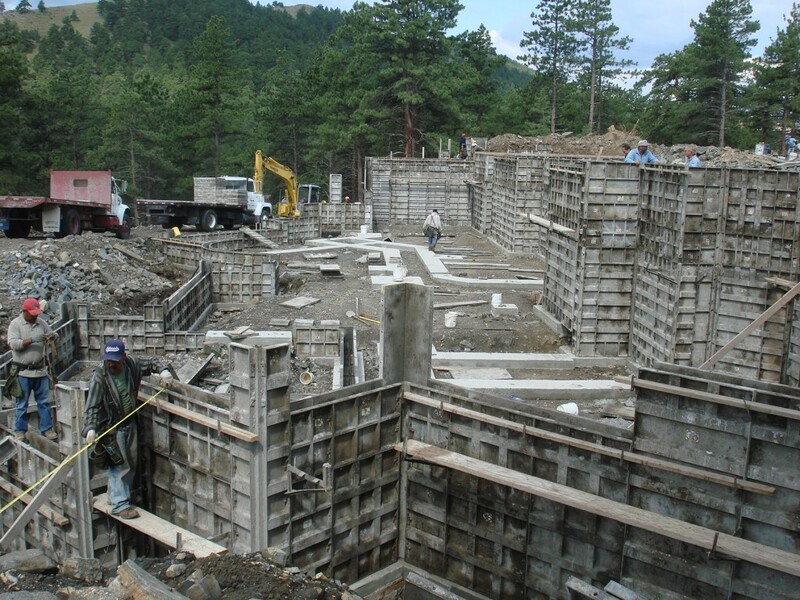 ICF concrete walls can be used with footings, straight shaft drilled piers, helical piers, or screw piles to help increase energy efficiency. Read EVstudio’s discussion about ICF and SIP to learn more. From this page links to detailed pages that will go into greater detail about the Pros and Cons of each of these foundation types. Please check back for updates, this page will update as new information is made available. We are very proud of our online magazine and work hard in our spare time between working on our client’s projects. If you ever have any questions or looking for something you can’t find we would love to know and add the topic to the online magazine. Quite impressed about the quality of practical information available at this website. Useful for both teaching and practical assignments. We work hard on our online magazine (blog) to provide useful information and try to avoid too many project status posts. Many people find it hard to believe we don’t do the blog as a full time job. EVstudio would be happy to help with any of your projects where you find the need of Architecture, Structural Engineering, Planning, Civil Engineering, Surveying, or Real Estate. I really like this website, it has a lot of structural information. I will be sending my clients to this site to get some additional information.